Richard (Ric) Parker retired as Director of Research & Technology, Rolls-Royce Group in April 2016, where he was responsible for direction and co-ordination of Research & Technology programmes across all the Rolls-Royce businesses, worldwide. He joined Rolls-Royce in 1978, and held various posts, including Chief of Composites and Ceramics, Chief of Compressor Engineering, Managing Director – Compressor Systems and Director of Engineering & Technology, Civil Aerospace. 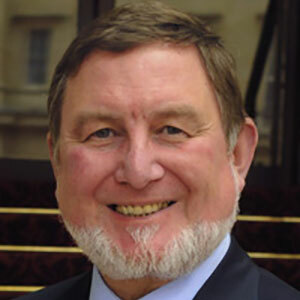 Ric gained a CBE for Services to Engineering in 2013 and was named the European CTO of the Year in 2014. In 2015, he was awarded the Royal Aeronautical Society Gold Medal. In 2017, Ric joined NPL as a Distinguished Visitor. In this role he supports NPL in strategy development, and identifying and creating even greater impact through interaction with industry.